LOUISE CARMI - Certified Havening Practitioner, Havening Authorised Trainer. Chair of Veterans Havening UK. SNLP Master Practitioner, (former) Child Safeguarding Designated Nurse, Health Visitor, Primary Care Tutor, Cot/Crib Death Specialist Nurse. Working in North London and Harley Street, and world-wide via skype. 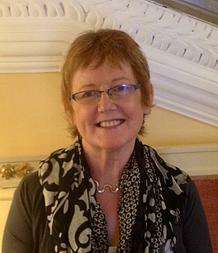 Louise's therapeutic work is recommended and endorsed by Dr Paul McKenna Ph D.
Louise has a wealth of experience over many years supporting individuals, families and colleagues affected by serious and complex adverse life events, in a sensitive and practical way. A former specialist nurse, working in Safeguarding Children and within Multi-Agency Partnerships. She has demonstrable talent in helping clients to make the transformation from feeling out of control and overwhelmed, into a calm and positive state. She works with a wide range of issues which includes the removal of life limiting fears, phobias, trauma, bereavement and pain. Louise’s expertise in Havening Techniques, and results gained are attracting increasingly diverse clients. From young students who may be struggling in School or University, to people of middle and older ages whose lives have been limited by PTSD and long held complex trauma. Havening opens up the ability to work content free in situations that are often too difficult to put into words. Louise is one of the first six Certified Havening Trainers to have been appointed worldwide. She enjoys the adventure and challenge of bringing Havening to a wider audience. The 2 day authorised Havening Training sessions are supported by a small group of Certified and experienced Haveners. Louise has presented and supported trainings in the UK, Ireland, Australia, USA and Norway. Since late 2016 Louise has introduced an additional learning opportunity attached to the 2 day training. The third day extends the opportunity to practice the variety of Havening Techniques, in a safe place, promoting confidence and supporting integration within the student's existing skill set. Please see www.louisecarmi.com for information and future training events. Since 2014 Louise has had an ongoing commitment to the support and development of emerging Haveners post their 2 day Training. This successful and lively Practise Group meets regularly in Central London. Our participants come from far and wide, to network, share practise and skills, continue learning and of course have some fun. Louise is supported in this by her husband Dr Michael Carmi, former Professor of Primary Care and GP Educationalist. This Committee is formed of Haveners and Veterans. This committee's purpose is to co-ordinate activities, strengthen practise, untake research, support practitioners in working with complex Military PTSD and Veteran Family related PTSD. I first met Louise 21 years ago when my baby died of cot death syndrome and had a lot of support from her. In the past 2 years I have faced difficult personal situations that have resulted in me re-living some of the previous traumatic events in my life. I asked Louise for help. I had one afternoon session of Havening and found it amazing that I could let go of the turmoil in my head. It helped me feel much more calm and able to cope. It is hard to explain how it works – it just does!